Mesothelioma survivor Jim Madaris doesn’t worry about tomorrow anymore. He is too busy enjoying today, savoring triumphs large and small. He already has won this fight. Madaris is still standing after undergoing an extensive 14-hour abdominal surgery and HIPEC procedure for peritoneal mesothelioma when he was diagnosed in 2013. A few years later, tumors emerged and his mesothelioma doctors removed the lining around one lung during a nine-hour pleurectomy/decortication. He bent but never broke. Madaris is a former U.S. Navy pilot who served 14 years in the military before joining United Airlines and later Alfa Insurance, where he served as a vice president for project management. His diagnosis came almost by accident, sparked by a routine scan for kidney stones that looked out of the ordinary. More scans led to more tests and eventually to peritoneal mesothelioma. He credits his success battling mesothelioma and extending his life expectancy to the University of Pittsburgh Cancer Institute, a top mesothelioma specialty center for both surgeries, and the Sarah Cannon Research Institute in Nashville, where he enrolled in two different immunotherapy clinical trials. His first surgery involved removal of his spleen, gall bladder, parts of his colon, several inches of his intestines, and his omentum, the fatty tissue that insulates the abdominal organs — all in search of mesothelioma tumor cells. He spent three weeks in the intensive care unit and another three weeks hospitalized before returning home to start a chemotherapy regimen. After two months, Madaris returned to work at Alfa, which accommodated his less than 100 percent condition and made generous exceptions to keep him working. He arrived late to work. He took short naps during the day. He got special parking near his office door. The second surgery followed repeated fluid buildup around his lungs after the tumor cells migrated into the thoracic cavity. Doctors first tried a thoracentesis to drain the fluid, and then a pleurodesis to eliminate the space between the lungs and the chest wall. We can connect you with the nation’s top mesothelioma doctors and cancer centers near you. 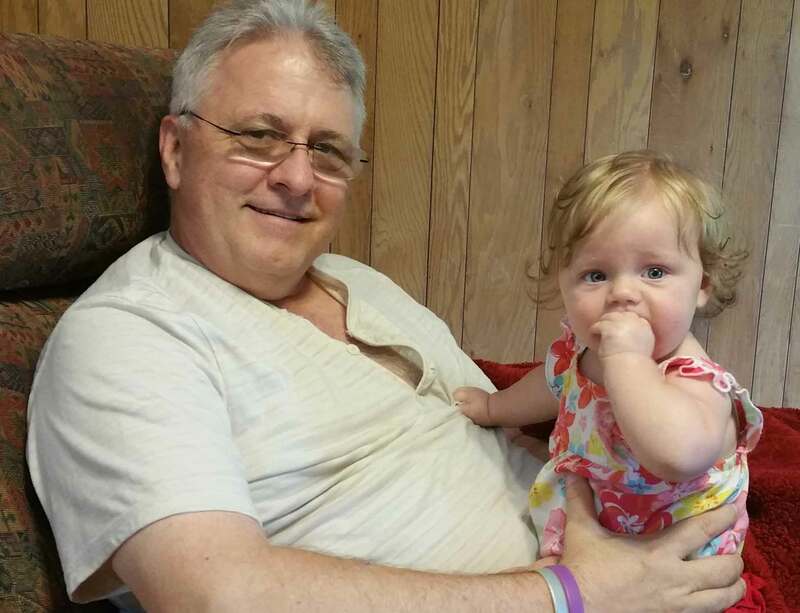 Another major surgery followed in May 2015, but he recovered quicker than the first time. He goes for regular CT scans to check on any recurrence, but still leads a pretty normal life of a retiree, just moving a little slower than he would like. He spent two days recently happily cleaning out his garage. He and wife, Sandi, drove six hours to see his daughter at college. They are hands-on babysitters. They relish each moment, creating memories each day. The Christian book, “Don’t Waste Your Cancer,” written by theologian John Piper, especially touched Madaris. The book, which he received as a gift, makes it easier for him to reach out and help others in need. A family-church support group provided Madaris invaluable help. They don’t talk much about mesothelioma, and he doesn’t want the topic dominating his life or his family’s life until it does. He and Sandi are planning a move in August to the Phoenix area, where they hope to improve his mesothelioma prognosis by consolidating his care with a nearby cancer specialist known for his innovative thinking.